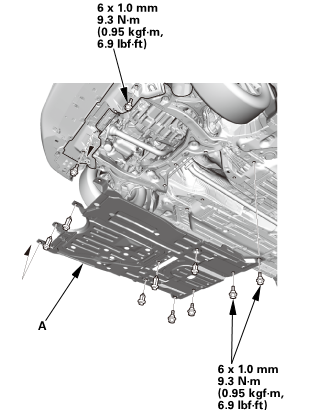 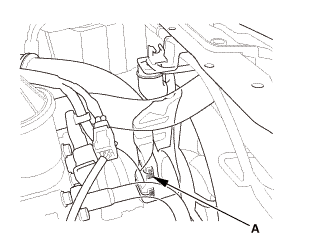 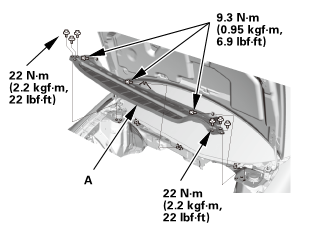 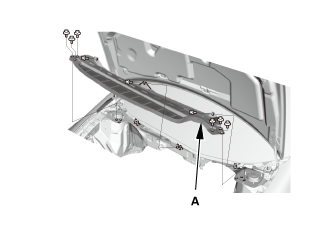 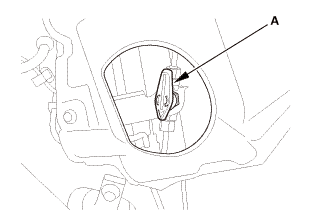 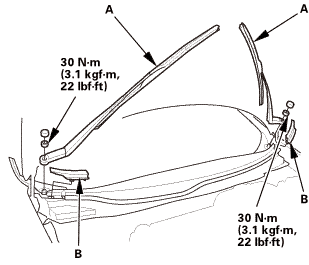 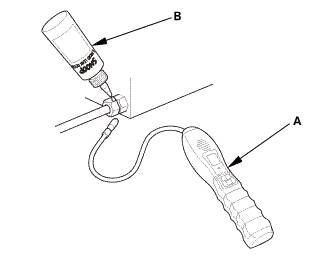 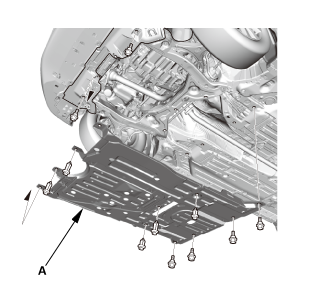 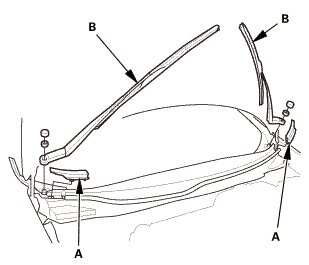 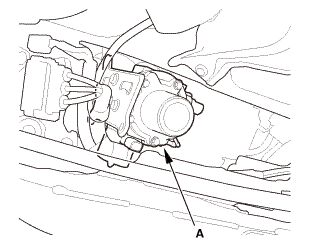 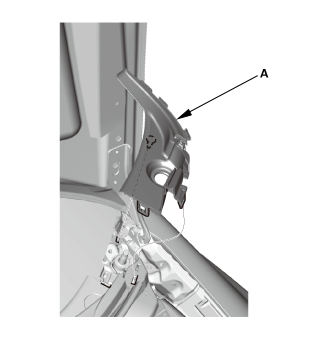 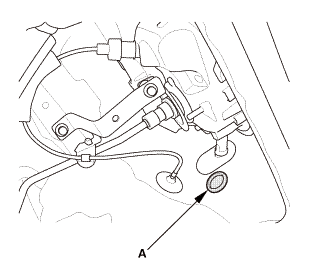 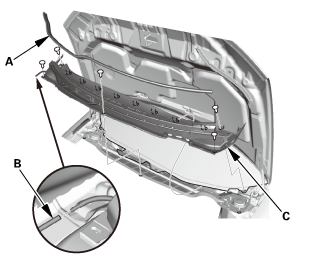 Remove the fuel line (A) from the clamp (B). 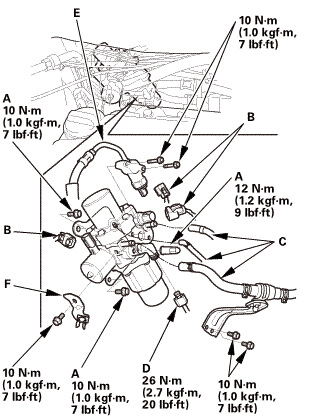 Remove the fuel pressure regulator protector (C). 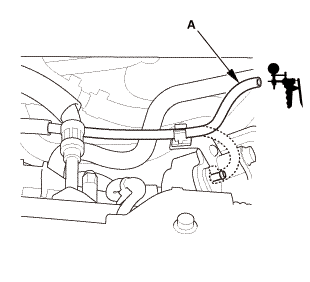 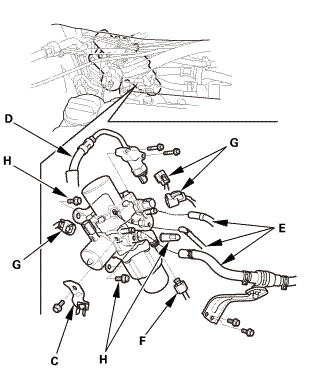 Remove the fuel feed hose (D), then disconnect the hoses (E) and the fuel line (F). 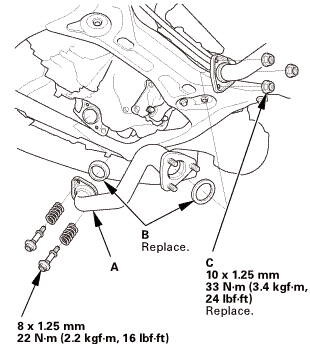 Remove the bolts and nuts (H). 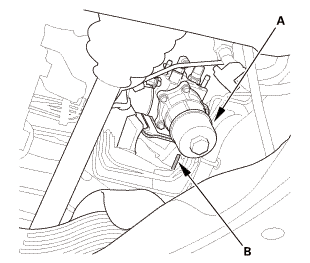 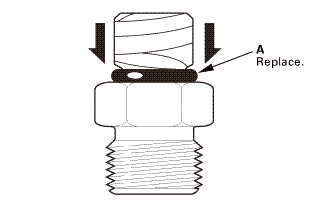 Release fuel pressure regulator P1 (A) from the stud (B). 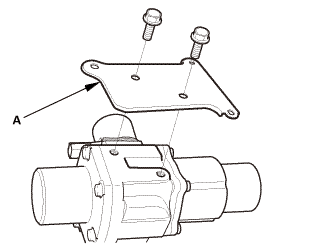 Remove fuel pressure regulator P1 (C) from the front subframe rear side. 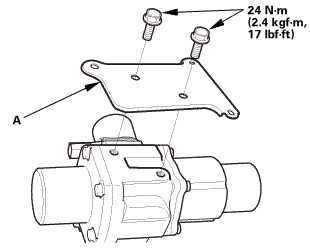 Insert fuel pressure regulator P1 (A) from the front subframe rear side. 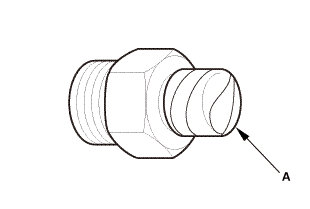 Set fuel pressure regulator P1 (B) to the stud (C). 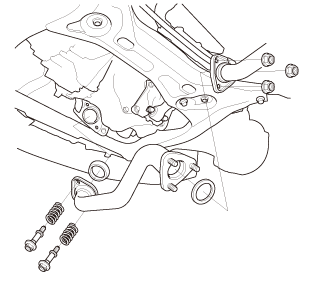 Install the bolts and nuts (A). 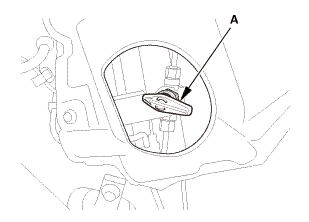 Install the fuel pressure regulator protector (F). 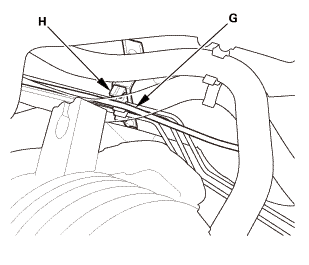 Install the fuel line (G) to the clamp (H).